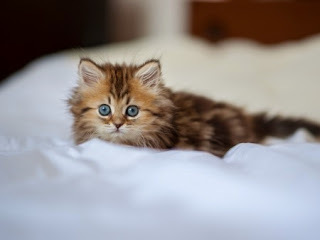 Wow, starting with an awesome poem and always the cutest cat photos. You are a hard act to follow Josie. Where do you find those massively cute cat photos? Thanks for this. I noticed there wasn't a mention of The Americans. Doesn't it come back on January 28th? Enid, thank you! I've added The Americans. Billie, Sam T. Cat finds them for me. Something something premieres...brain too full of fluff looking at THAT KITTEN! Just read that Last Week Tonight with John Oliver will also be returning Sunday, February 8. That's going to be a full night! Don't forget iZombie, which makes it just under the wire for Winter premieres: March 17th. It's a zombie show based on a comic book, produced by Rob Thomas, and featuring David Anders. I'm skeptical about it but it's got a lot of things going for it. Thanks, Topher and Jess! I'll add those, too. Topher, I realized last week that I'll have to do another post for Spring premieres; there's a lot of stuff happening around March.